Guacamole is not part of the free salsa & chip starter, you have to order it and it ain’t cheap. Usually you can order regular pre made guacamole or you can have the ingredients brought to you and made fresh at your table. When they come to your table they will typically make it the authentic way by using a vessel called a molcajete, which is similar to a mortar and pestle made from lava, to mash the ingredient. I just mash it with a fork. Gaucamole is really easy to make. You can follow the recipe below or if you made the salsa, just add about a 60 mls (¼ cup) of salsa to the chopped avo and smash. You may need to add a little more lime juice and salt. 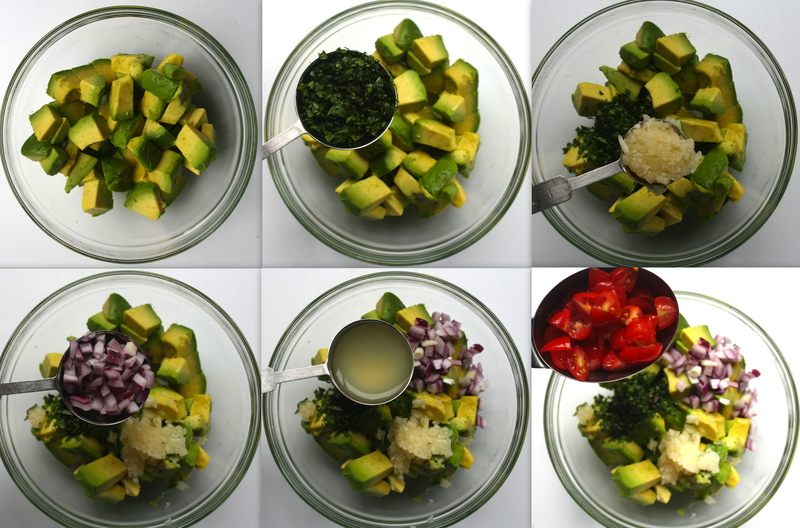 Place chopped avo in a bowl and add the minced coriander (cilantro), the minced garlic, the chopped onion, the lime juice and the chopped tomatoes. 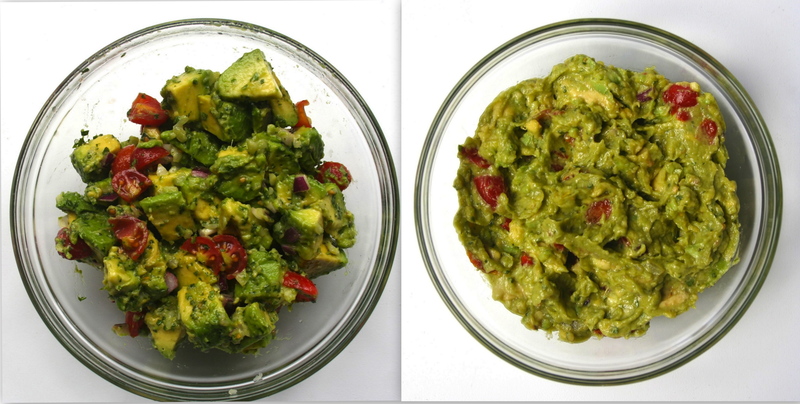 Some people like a chunkier guacamole while others enjoy theirs smooth. So here you have the option. For a chunkier style you are merely mixing the ingredients. For the smoother style you are mashing up the ago with the fork. 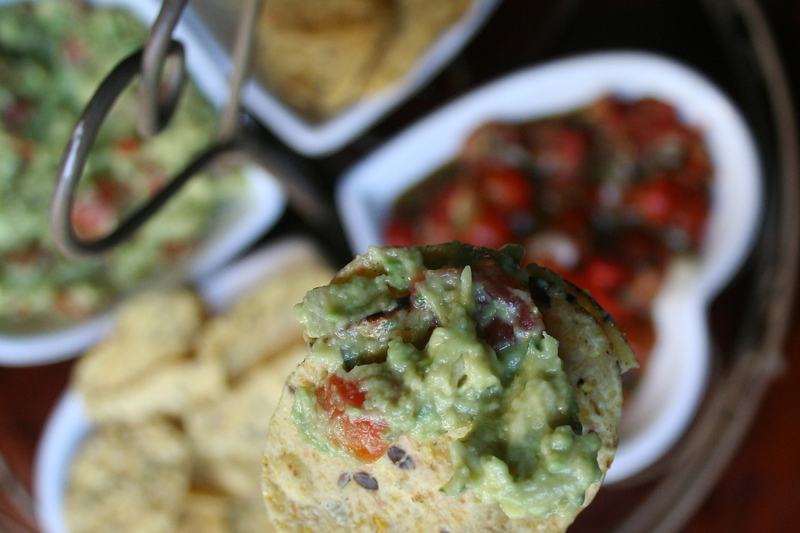 After guacamole has reached the desired consistency, add salt, pepper and hot sauce to taste. If you are not planning to serve the guacamole right away, you will want to cover in plastic wrap. But, be sure to press the plastic wrap down onto so it is coming in contact with the entire surface of guacamole. This will keep it from turning brown as fast. Then pop it in the fridge until you are ready to serve. Now you are ready to serve with chips. I like the Woolies brand multi grain corn chips. And don’t forget the ice cold Margarita.